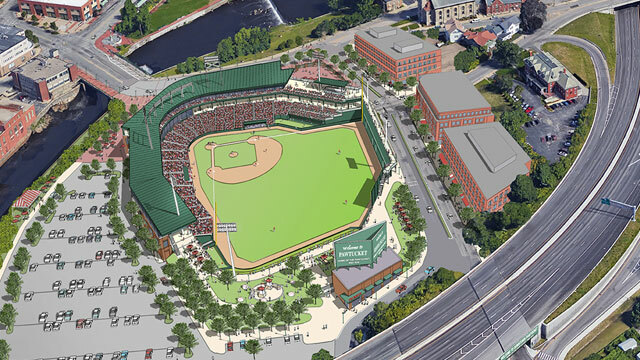 By a 26-9 margin, the Rhode Island Senate overwhelmingly passed a Pawtucket Red Sox (Class AAA; International League) ballpark financing bill, but the proposal could face a rockier path up next in the Rhode Island House of Representatives. The Senate passage was not a surprise; it was easily passed on an 8-1 margin by the Rhode Island Senate Finance Committee on Jan. 9. With Senate passage, the measure now goes before the Rhode Island House of Representatives, where it faces a more uncertain fate. House Speaker Nicholas Mattiello has expressed opposition to the proposal, arguing that it should be subject to a November referendum. Gov. Gina Raimondo has come out in favor of the financing proposal. The proposal allows the Pawtucket Redevelopment Agency to borrow a maximum of $85 million for the project. In that scenario, the PawSox would make a $41 million contribution, with the state paying $26 million, and the city allocating $18 million. In addition, naming rights revenue will be split between the PawSox and the city, rather than allowing it to be collected exclusively by the team. The new ballpark would replace McCoy Stadium, the oldest ballpark in Triple-A baseball.